At Neochicks Poultry Limited, we have a wide range of eggs incubators and they are of various capacities that have been specifically designed to take full interest of the farmers. Our eggs incubators have been tested and we have supplied the machines all over the East African region. The eggs incubators have been manufactured using efficient and modern technologies to ensure that they give the best results to our customers. Indeed we have witnessed various farmers having hatch rates of over 95%. Neochicks Incubators are made of quality, strong and durable bodies from the best insulating materials in order to ensure that they conserve as much power as possible and thereby making sure that the machines power consumption remains low. The incubators have beautiful and elegant designs and you can comfortably place the machine in your living room or table room without affecting the aesthetics of your place. Neochicks eggs incubators use highly sensitive and precise sensors that are so accurate they can detect temperatures changes of as low as 0.01 degrees magnitude. This ensures that the regulation for conditions inside the incubator are done accurately and therefore ensuring high hatch rates for the incubated eggs. The incubators use low power consumption fans which are very strong and which ensure that air, temperature and humidity is evenly distributed through out the incubator. Additionally, the fans are very stable and silent which ensures that you can comfortably place your incubator anywhere in the house without having to worry about noise and disturbance. Neochicks incubators use power saving heating elements that can be rightly referred to as ‘energy savers’. These are made of modern materials that ensure that the machines consume minimal amounts of power. I need an egg Incubator which have the capacity of 10,000 egg, plz send me the details by my email address. I would like to get an incubator with capacity to hatch between 50 and 100 eggs. Please advise on its availability and the cost. 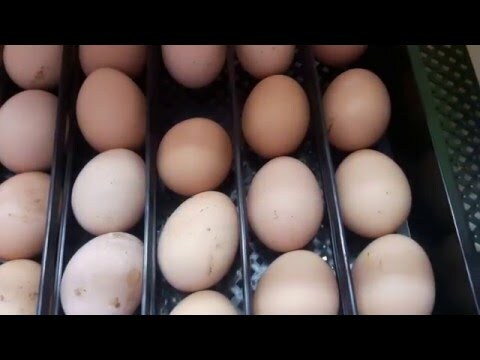 48 eggs incubator at ksh18,000. 96 eggs incubator at ksh29,500. 176 eggs incubator at ksh44,000. 264 eggs incubator at ksh54,000. 352 eggs incubator at ksh60,000. I need a 1200 chicken egg incubator. How much does it cost because I see you gauge the capacity of your incubators using Quill eggs. How can you deliver it at Wundanyi? If I want an incubator that can hatch between 500-1000, how much will it cost me and how will it be delivered to me (Kisii county)? 528 eggs incubator at ksh75,000 and comes with a free backup generator. Free delivery. hullow am a farmer who is looking for an incubator to hold 1200 chicken eggs. how much do you sale them? I need an incubator that can accomodate between 500 to 1500 eggs. Please send me a quote. how can i get an incubator from you,im interested with the one of ksh23000.i reside within eldoret and by the way do you have quarantee and if yes for how long does it cover. I have seen your incubators are 42 eggs,528 eggs and more. I would prefer one in the range between 100 to say 300 chicken eggs.Plse let me know if possible and the price. please sent me the price list of your incubators and you office here at Nrbi. hi, i would like to know if you have any solar powered incubator and of lowest price with everything included . I need a small incubator of less than 500 eggs. What range do you have and what is the cost? I’m a Zambian living in Zambia, I intend to venture into poultry business, to be specific “Kienyeji Chicken Business”. I would like to get an incubator with capacity to hatch between 50 and 100 eggs. Please advise on its availability and the cost up to Lusaka Zambia. i have interested with your technology,want to know if you are providing training of manufacture eggs incubators.please help me,since am ok.if any payments needed.thank you. Am in Kisii county, how can I get the 3 days old kari kienyeji chicks? Currently we do not have a branch is Tanzania but we organize for deliveries up to Dar es salaam. Which capacity are you interested in? would yu please give me the hatcher capacities of your high egg capacity incubators, i.e. 1056, 1232, 2112 and 2464 egg incubators. I would like to know the price of incubator of 96 egg and if deliver free. am at Kenol Murang’a. Do accept payments in instalments since i’m interested and can not raise the whole amount for an incubator at once. Am impressed by your incubators need 1256 eggs.. an how can i get fertilized eggs. this business is good for retirees like me. how can i get money because i have a house and land. I want to buy incubator and some other thing,but am in west africa country.nigeria. Yes you still can. Call us on 0707787884 or visit our office at corner house, 4th floor. opposite hilton hotel.